Do you absolutely LOVE getting unsolicited advice from people? Are you thrilled when people show off their wisdom without first understanding your needs? Does it impress you to no end when someone takes charge of the conversation without leaving room for discussion and collaboration? 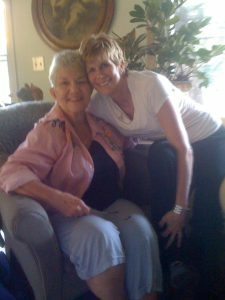 When I was a young mom, I met an older — and certainly wiser — mom. Jean’s children were grown; mine were all under the age of six. She had plenty of wisdom to share with me about raising kids, marriage and taking care of myself. She could have easily dumped all her advice on me, a less experienced wife and mom. But she didn’t. Instead, this dear woman treated me as if I were her equal. She displayed genuine curiosity about my thoughts and refrained from suggesting ways to better handle frustrations or implying that there were better ways to take care of my needs. She honored my opinions, cheered me on and let me forge my own path, only later asking what I learned along the way. Today, Jean is 85 years young and I would no longer describe myself as a young mom, now that my boys have graduated from college and started careers in Denver, San Francisco and Boston. 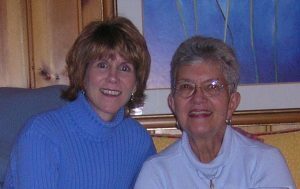 Whenever Jean and I talk these days, she continues to display the same empathy, respect, openness and encouragement. It just comes naturally to her. I have read Gary’s newsletters for years. His reporting, observations and open curiosity have always appealed to me. And I couldn’t agree more with his assessment that strong, effective relationships — whether professional or personal — require these skills related to emotional intelligence. In fact, the attributes he mentions define masterful coaching. They are qualities of someone who, regardless of relationship or rank, can respectfully and effectively engage with others. Certified and experienced coaches know how displaying these traits can make a powerful difference in the lives of their clients. I hope to express these qualities in every relationship, every day. How about you? Who has shown up this way with and for you?